The EasyBlueTooth Board is a low-cost solution that enables your device to easily implement wireless Bluetooth communication. Board is equipped with low-power, highly economic RN41 module, compliant with Bluetooth® 2.1/2.0/1.2/1.1 specification that can operate up to 100m distance. 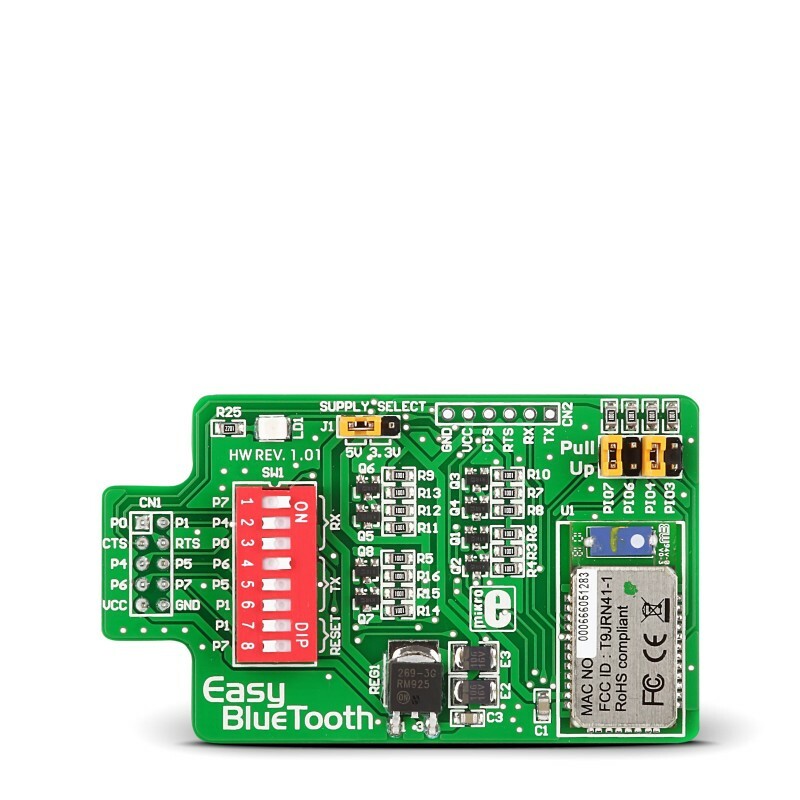 EasyBlueTooth board offers low power, highly economic Bluetooth radio for adding wireless capability to your products. On-board RN41 Module supports multiple interface protocols, and is simple to use. We have carefully designed the EasyBlueTooth board and added an extra feature: using specialized connection pads on the side of the board you can easily connect USB-UART Board and contol it with your PC as a standalone Bluetooth device, without needing to use the microcontroller.